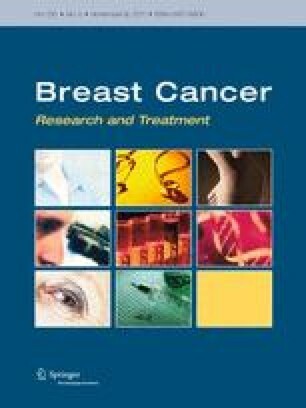 Differences in incidence, prognosis, and treatment response suggest gene expression patterns may discern breast cancer subtypes with unique risk factor profiles; however, previous results were based predominantly on older women. In this study, we examined similar relationships in women ≤56 years, classified by immunohistochemical staining for estrogen receptor, progesterone receptor, and human epidermal growth factor receptor-2 for 890 breast cancer cases and 3,432 frequency-matched population-based controls. Odds ratios (OR) and 95% confidence intervals (CI) for tumor subtypes were calculated using multivariate polytomous regression models. A total of 455 (51.1%) tumors were considered luminal A, 72 (8.1%) luminal B, 117 (13.1%) non-luminal HER-2/neu+, and 246 (27.6%) triple negative. Triple negative tumors were associated with breast feeding duration (per 6 months: OR = 0.76, 95% CI 0.64–0.90). Among premenopausal women, increasing body size was more strongly associated with luminal B (OR = 1.73, 95% CI 1.07–2.77) and triple negative tumors (OR = 1.67, 95% CI 1.22–2.28). A history of benign breast disease was associated only with increased risk of luminal A tumors (OR = 1.89, 95% CI 1.43–2.50). A family history of breast cancer was a risk factor for luminal A tumors (OR = 1.93, 95% CI 1.38–2.70) regardless of age, and triple negative tumors with higher risks for women <45 (OR = 5.02, 95% CI 2.82–8.92; P for age interaction = 0.005). We found that little-to-no breastfeeding and high BMI were associated with increased risk of triple negative breast cancer. That some risk factors differ by molecular subtypes suggests etiologic heterogeneity in breast carcinogenesis among young women. The online version of this article (doi: 10.1007/s10549-011-1616-x) contains supplementary material, which is available to authorized users. The authors would like to thank Xiaolin Liang for her data management assistance, as well as Dr. Karen Petrosyan, Armine Arakelyan, Armen Gasparyan, and Ivonne Villalobos for technical assistance and data management for the ER, PR, and HER-2/neu assays. This study was supported by the U.S. National Cancer Institute grant (NCI 5R01CA064245).